Former Nissan CEO Carlos Ghosn appeared in a video released last week in which he described the company’s “absolutely mediocre” performance since Hiroto Saikawa took over two years ago. TOKYO — To hear Carlos Ghosn tell it, Nissan Motor Co. has gone down the tubes ever since he handed the reins to his "backstabbing" understudy Hiroto Saikawa nearly two years ago. In a video message recorded the day before he was sent back to jail this month after his fourth arrest, Ghosn blasted Nissan for "absolutely mediocre" performance. The former chairman cited three profit warnings in recent years, declining share price, lack of leadership and "many scandals." "For somebody like me, it's sickening," Ghosn said, decrying Nissan's current state. His broadside against the Japanese automaker he saved from near bankruptcy in 1999 draws a new battle line in the narrative over his own downfall as the high-flying visionary who hammered the Renault-Nissan alliance into the world's largest auto group. For Ghosn, now facing three indictments accusing him of financial misconduct during his time at Nissan, the fight is about restoring his legacy, not just proving his innocence. But Nissan shareholders don't seem to be buying it. Last week, some of them engaged in their own finger-pointing at Ghosn as they voted to boot him from the board, severing his last tie to the company. The vote to dismiss him, which included Renault's share, came in at a near-unanimous 99.8 percent approval rate. During the question-and-answer period, many shareholders criticized the man who made Nissan one of the world's most profitable automakers. One attendee took issue with Ghosn's personal appearance after being incarcerated, saying he looks like a "thief and con artist." Another called Ghosn's alleged deeds "an outrageous evil." But shareholders also hurled invective at CEO Saikawa for supposedly failing to notice or prevent Ghosn's alleged misdeeds. One shareholder said that Saikawa and the entire Nissan board should resign. Without doubt, Nissan's crucial U.S. business has stumbled since Ghosn handed his CEO title to Saikawa in April 2017 and stepped back as chairman. U.S. sales have cratered as Saikawa tries to rein in U.S. incentives and fleet sales to the detriment of volume. The parent company's performance also has suffered. Operating profit declined 23 percent in the fiscal year ended March 31, 2018, the first full year of Saikawa's leadership. Nissan will likely post a 29 percent plunge for the fiscal year that just ended on March 31, Nissan predicts, a downward revision from its earlier forecast for the year. Nissan anticipates a 2.9 percent decline in global retail sales to 5.6 million vehicles for the year, instead of the 1.7 percent increase it originally forecast. 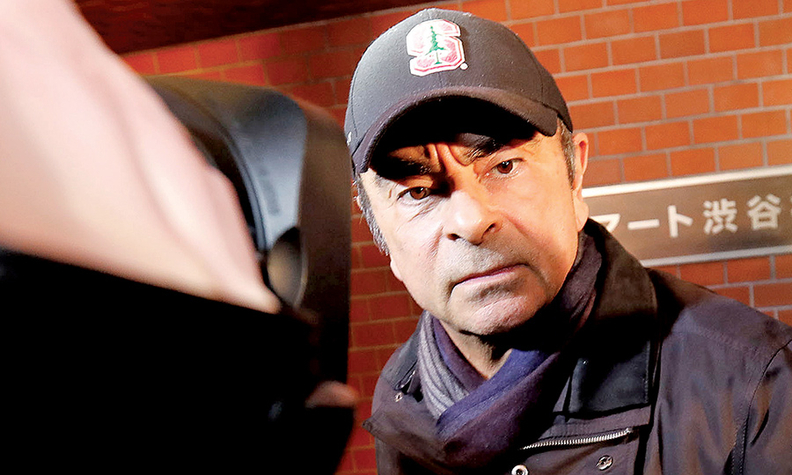 Before his arrest in November, Ghosn had become so disenchanted that he planned to remove Saikawa as CEO, according to people familiar with his plans. In the video released last week, Ghosn said that Nissan is now beset with "many scandals" without getting into specifics. Excluding the scandal of his arrest, detention and indictment, Ghosn may have been referencing the recall of 1.1 million vehicles in Japan after the revelation that workers were doctoring inspections. Saikawa responded by blaming much of Nissan's woes on Ghosn's obsession with ambitious numerical targets. Weakening market demand in the U.S. and China also doesn't help. 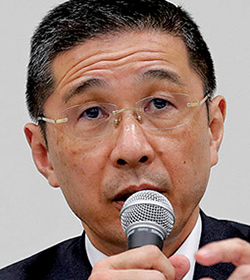 At last week's shareholder meeting, Saikawa said pushing to achieve Ghosn's goals had created distortions that are "undermining profitability" because people cut corners. "It was hard for people to raise doubts about costs and repercussions from overly stretched numerical targets in pursuit of short-term benefits," Saikawa said. "There have been big distortions that built up over 20 years, and we cannot correct them overnight."